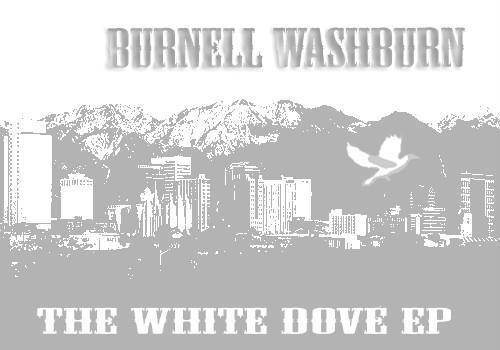 It’s good to hear quality hip hop produced right here in SLC. Burnell Washburn is young and his inexperience is evident, but that’s not a bad thing. I’m tired of too many veterans touring on the strength of some radio hit from 1994. Burn. The point is, these younger guys are hungry—they put effort in every rap and usually have nothing to lose. I mean, this is supposed to be an EP, but it has nine songs and clocks in at over 35 minutes. A well-established act would spend two years making this and call it a whole album, but I have a feeling this kid’s more interested in just producing what he can when he can. The stuff is chill, understated and jazzy, but while Burnell’s affected, raspy raps are complex and on time, there are some hooks lacking in his choruses. The real cream here is the beats that are variously reminiscent of the Typical Cats, Blockhead or Lovage-era Dan the Automator. That’s to Burnell’s benefit too because he does them all himself, layering acoustic guitar over tight snare claps and sampled piano. So far, my favorites are “Apartment 22,” “Welcome to the Canopy” which features another local, Malevolent MC, and “Let Us Go” with its lush strings. Keep it up dude, the music is good.